(Rome, 31 January 2019) On January 17th 2019 the third Steering Committee of the MAYA project – Master in Agricultural and hYdrological Approaches to a better sustainable development has been held at UNIMED. 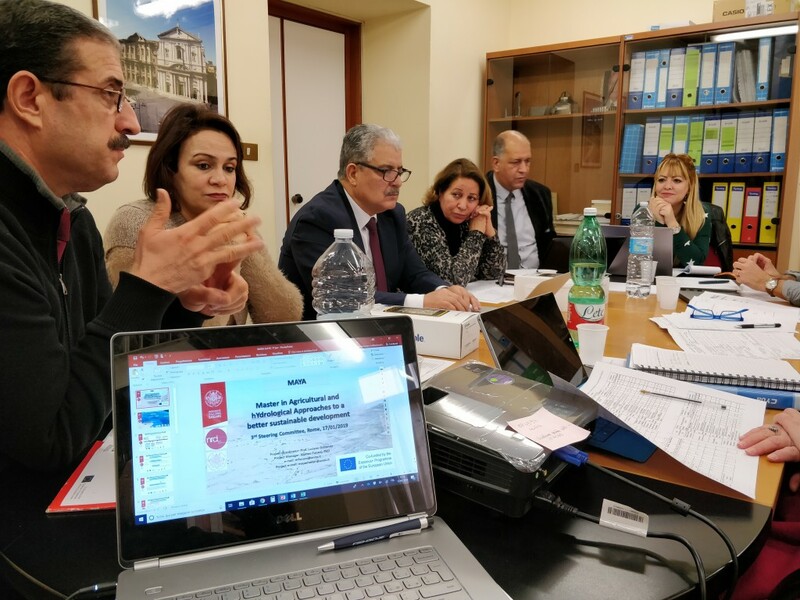 The project coordinator – University of Sassari- , the University of Girona, UNIMED, and the three Tunisian Universities: Carthage, El Manar and Sfax participated in the meeting. The main aim of the MAYA project is to develop a Joint Master degree with the involved Tunisian Universities. Starting from a common structure of the master plan (the 75% study fields) with a part addressed to the specificity of each university (the 25%), the Steering Committee approved the Teaching Units. As next steps, the Tunisian Universities will verify the procedure and the deadlines to present this dossier to the Tunisian Ministry of Higher Education for the approval and adoption in their university teaching Curricula. Here the agenda of the meeting.